After fifteen long months in the Korean racing wilderness, Queen’s Blade, the 2014 Korean Derby and Oaks winning filly, was back in the winner’s circle at Seoul Racecourse this afternoon having triumphed in the Jeju Governor’s Cup. Being sent to the USA is generally a career death-knell for a Korean racehorse with connections understandably taking advantage of the inexplicably generous subsidy available for running a Korean Group race winner in the States (you have to do it three times and one of them must be a Stakes race) only when they feel their horse isn’t going to win an equivalent amount at home anymore. And while Queen’s Blade, unlike another Derby winning filly Speedy First, was at least sound, she wasn’t in race shape in America and duly met with the now familiar humiliation that greets participants in this program. Home, retirement and the breeding shed seemed to await, not the racecourse. This filly was a little different though and after the three-month spell on the farm that she was long overdue, she returned to work last month, flying through a barrier trial and found herself in the starting gate today. True, this was not the toughest assignment first up with race-watchers here scratching their heads trying to recall a weaker looking Stakes race which had no upper class or rating limit on its entrants. They put on a decent show though and under a characteristically skilful ride from Japanese jockey Ikuyasu Kurakane, Queen’s Blade battled hard to earn victory by a neck. Queen’s Blade was always handy and while she and stablemate Bukbeol Sinhwa (a full sister to President’s Cup winner Triple Nine) stayed on, the rest of the early front-runners would fade in the closing stages and it was left to closers Pinot Noir and Meni Money to get the closest to the winner with Pinot Noir, an 18/1 chance, just running out of track in the end. Queen’s Blade is a half sister to 2008 Korean Oaks winner Jeolho Chance and was recording her first victory since her own Oaks success last August. It was her 8th career win in total from sixteen (Korean) starts. 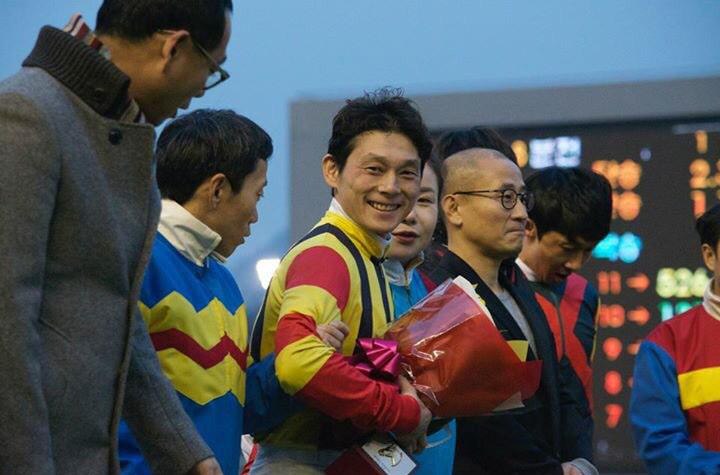 For jockey Ikuyasu Kurakane it was a third Korean Stakes race win while for trainer Kim Young Kwan it was business as usual in the biggest races. 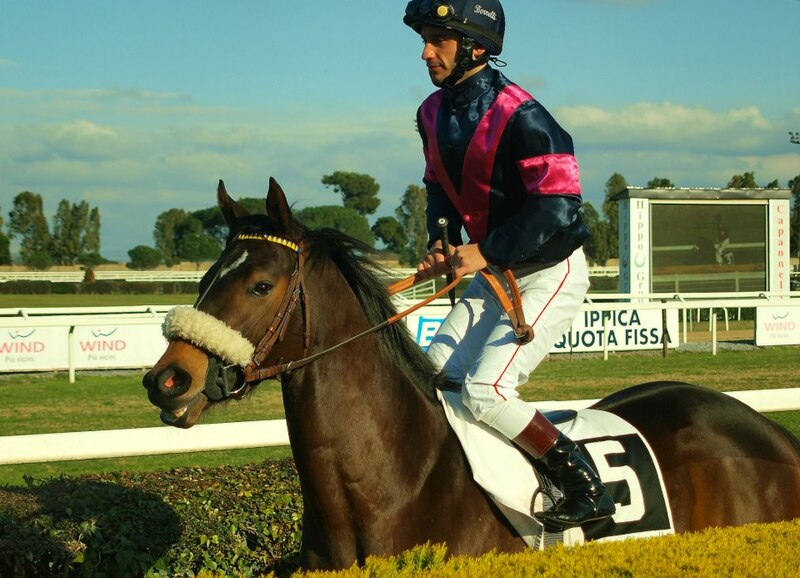 There is a new foreign jockey in the weighing room at Busan as Pasquale Borelli joins on an initial license that will run until the end of the year. The 32-year-old Italian has landed over 900 wins in a professional career that began in 1999, among them victories in 20 Listed races. 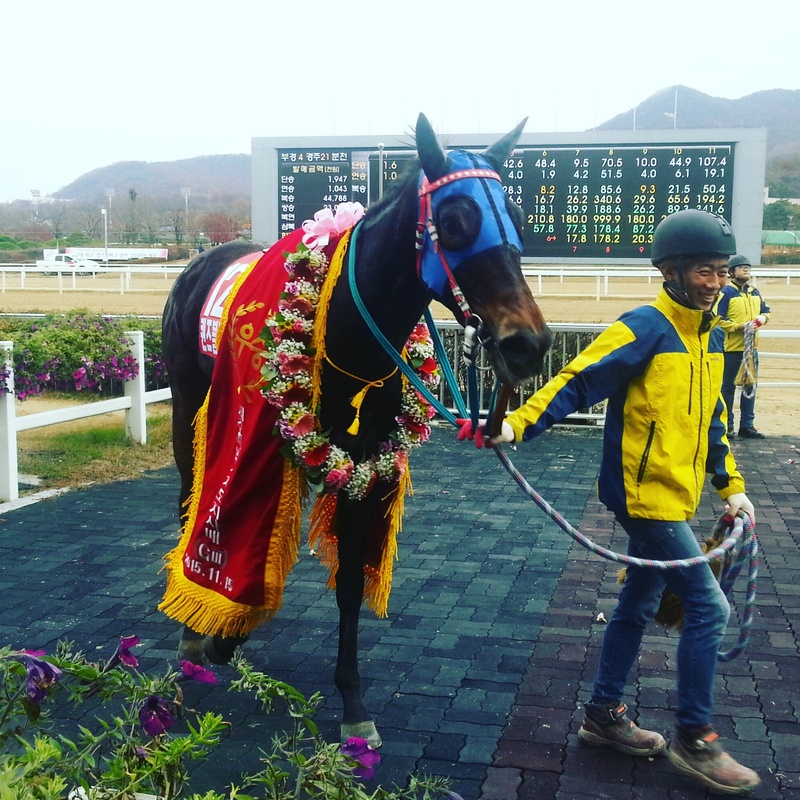 Another Italian licensed jockey, Serbia’s Djordje Perovic has met with sustained success at Seoul since joining earlier this year and despite parting company with trainer Lee Shin Young at the end of August, has continued to show his class and bring in the winners. Also at Seoul, Japanese rider Yuri Takahashi has been quietly making a name for himself. 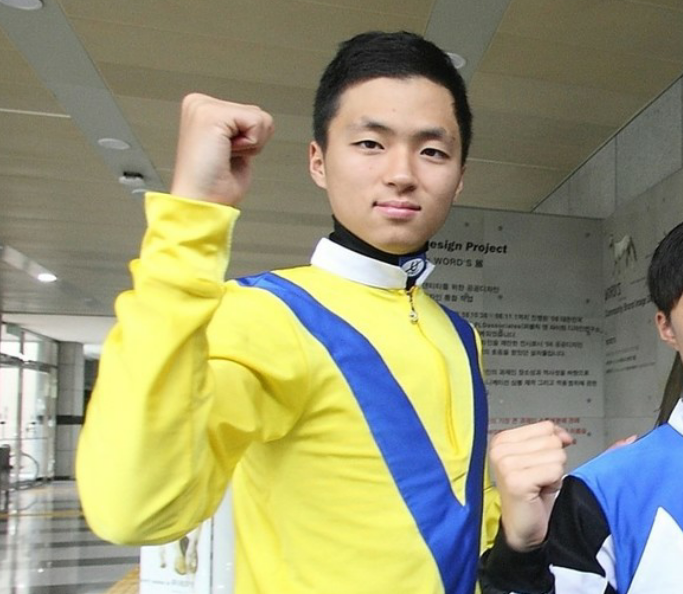 Like Perovic, it took Takahashi a while to build up some momentum following his July debut but in riding his 10th and 11th winners last weekend took him up to the extremely creditable quinella strike rate of 22%. 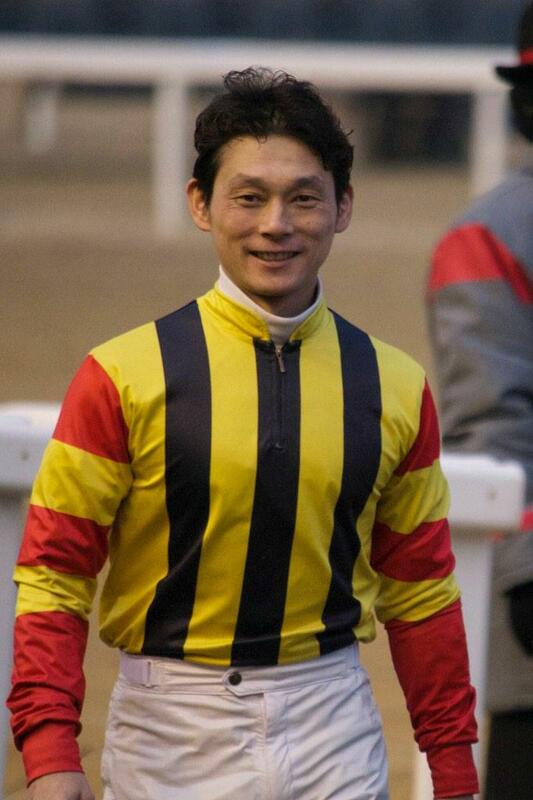 Borelli joins Busan where among foreign jockeys Masa Tanaka is currently top man, lying in 6th place in the Jockey Championship with 39 winners in 2015 so far. Ikuyasu Kurakane has picked up where he left off since returning to Korea in the summer while Nozi Tomizawa contines to get plenty of rides and lies in 15th place in the table. 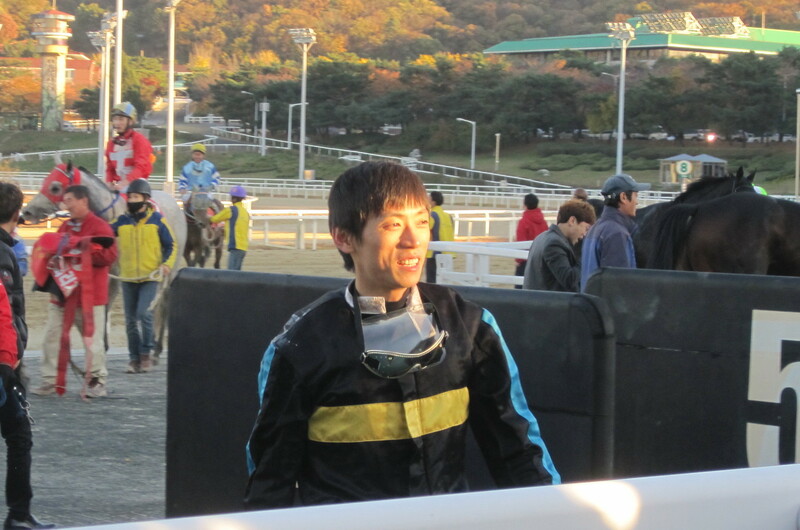 Noboyuki Oyama finished up his ten-month stint in Korea at the end of September.